2.6 billion people around the planet don’t have access to safe toilets. Not only does this impact health, but empowerment as well: women and girls “face high rates of violence when they don’t have access to safe and dignified sanitation,” according to protein biochemist and entrepreneur Diana Yousef, CEO of change:WATER Labs. She’s working on a solution: a portable, off-grid toilet that operates without plumbing, water or electricity. “80 percent of disease around the world is attributable to poor sanitation,” Yousef said in a Cartier Women’s Initiative Awards YouTube video; she’s a 2018 finalist. Indigenous groups, people living in poverty, or refugees don’t have many options to deal with an absence of proper sanitation, according to change:WATER. So they’re working on a low-cost, off-grid, compact, environmentally safe toilet able to evaporate 95 percent of sewage sans energy with the help of a simple polymer membrane. Users wouldn’t need plumbing or water to flush the toilet. Field deployment could happen later this year; Yousef has three pilot partnerships in the United States, Central America, and in the Middle East and North Africa, according to the initiative. change:WATER is up for potential funding from the Chivas Venture (you can vote for them on the Chivas website). Yousef said funding would allow change:WATER to get working toilets to 10,000 families by 2019. 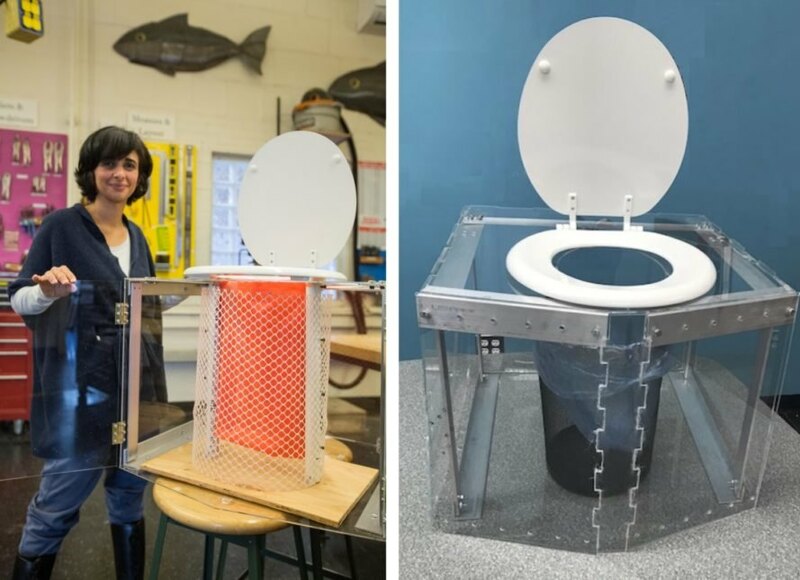 Entrepreneur Diana Youself is designing a waterless toilet. These off-grid toilets could offer safe sanitation to people around the world who lack it. This evaporative toilet is low-cost and environmentally safe.